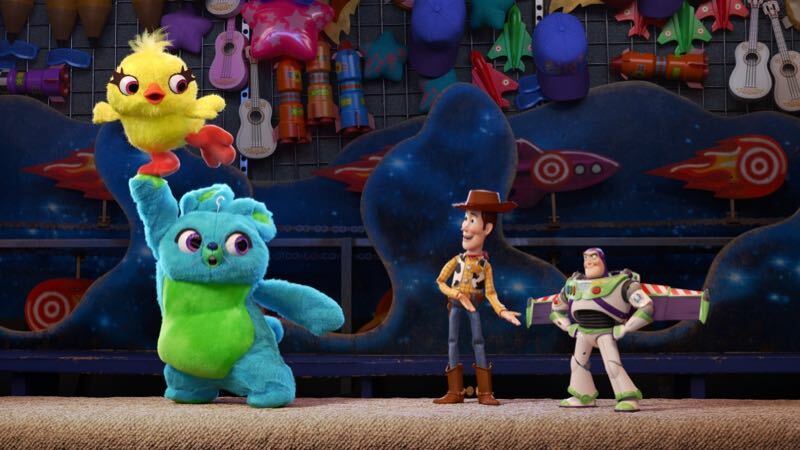 Following yesterday’s teaser trailer for Toy Story 4, Disney•Pixar has released another teaser video for Toy Story 4 featuring the reveal that comedians Keegan-Michael Key and Jordan Peele have joined the voice cast as two new characters, Ducky and Bunny. In the video, the pair react to yesterday’s teaser in a safe for work parody of one of their sketches from Key & Peele. Check it out below along with three more character posters for the sequel! Keegan-Michael Key and Jordan Peele join newcomer Tony Hale in the voice cast alongside returning cast members Tim Allen, Tom Hanks, Annie Potts, Patricia Arquette and Joan Cusack. The post Another Toy Story 4 Teaser Reveals Key & Peele as Ducky & Bunny appeared first on ComingSoon.net.